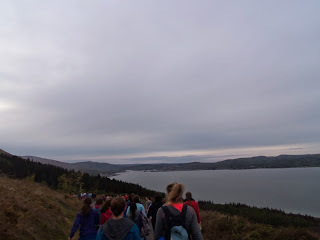 On Friday the 1st of May, fifty fourth year students travelled to Carlingford to complete their Gaisce Bronze Award with their 25K hike. Since September, we have been completing our 'challenges' such as physical recreation, community involvement and personal skill. 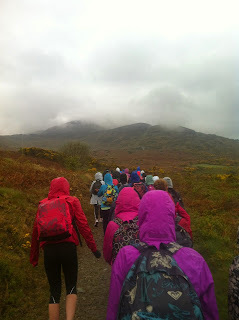 Our 'adventure journey' completed our 26 weeks of Gaisce. Everyone signed up for different jobs during the trip. A couple of girls were sent off to buy food for dinner and lunch in Supervalu and they then piled everything into Ms. McCaul's car. Another few girls volunteered to cook dinner that evening and another few to clean up afterwards, while others packed lunches for our hike the next day. When we checked into the adventure centre in Carlingford we were all assigned our rooms. We then set off for the first half of our hike. 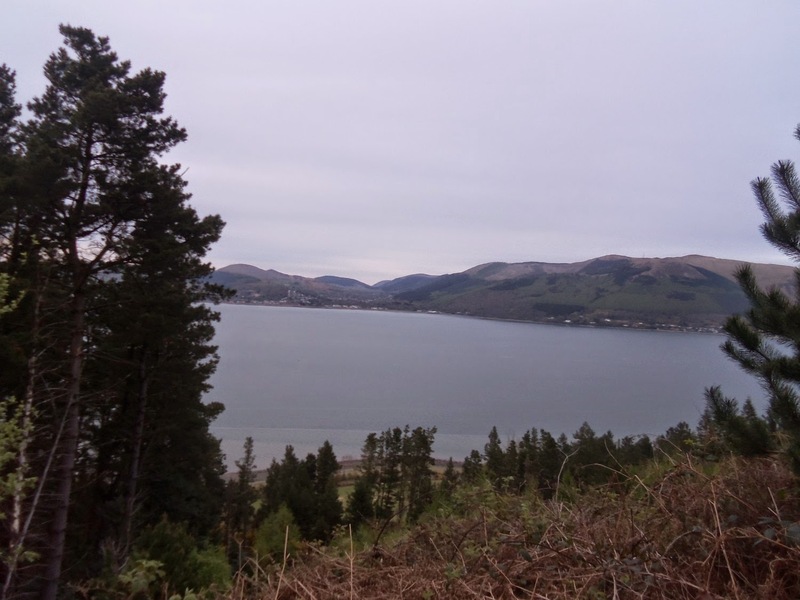 We completed 10K that evening and then returned to the centre for our dinner of pasta, garlic bread, ice cream and cake for dessert. 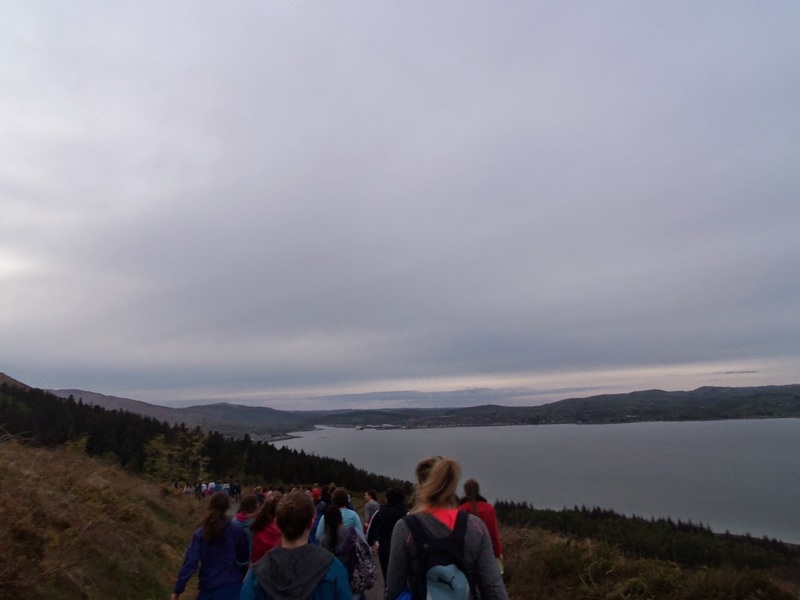 Thanks to all of the teachers who endured the hike with us. 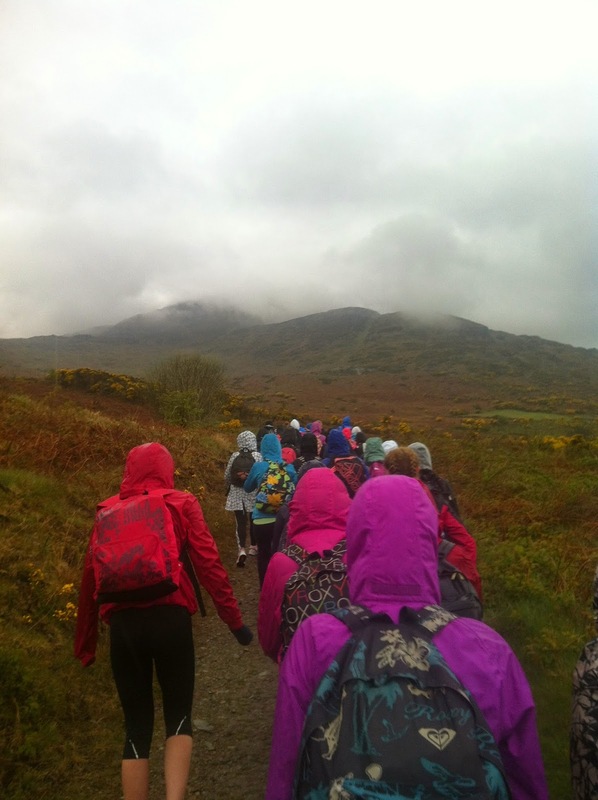 Other than the three hours of hiking up the mountain in wet and miserable conditions, we all had a great time. I interviewed Paulina Vilamaite. We talked to her about her huge success in the Doodle 4 Google competition.